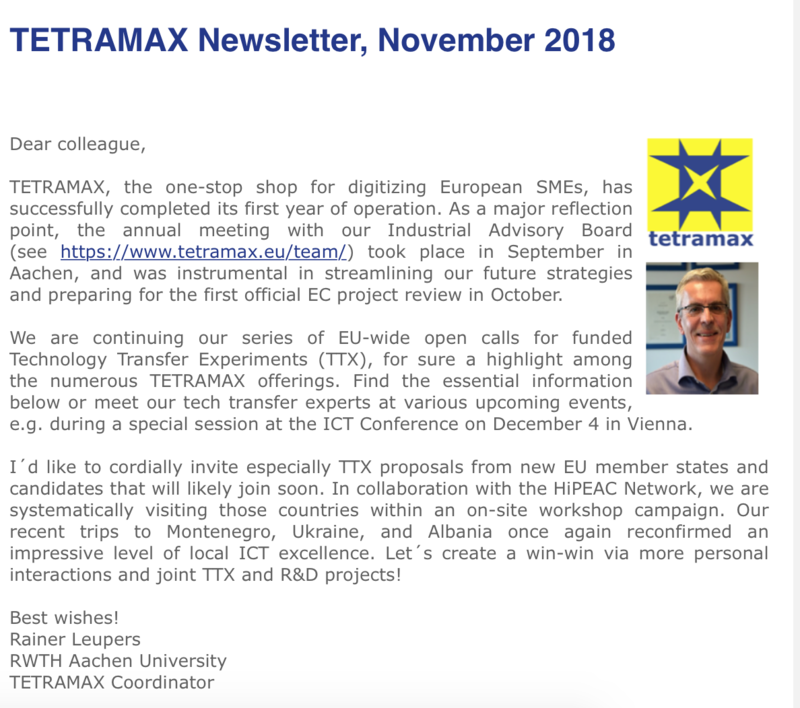 The TETRAMAX November newsletter is out! Our November newsletter is out, telling you all about the newest open calls and latest TETRAMAX activities! Contact us for any questions, or subscribe to our mailing list to get the latest news.